Spontaneous Saturdays: Four Fun and ‘Spontaneous’ Date Ideas! Spontaneous dates are usually the most memorable ones. It’s a good idea to throw in some type of spontaneity in a relationship once in a while, as it not only keeps you and your partner entertained, but it also brings out the original feelings of butterflies-in-the-stomach love that were a little more evident during your very first months of dating. I’ve had a couple of spontaneous dates here and there, and I have to say that these were the dates that I remember most vividly. Listed below are some ideas that you can ‘plan’ for your ‘spontaneous’ date! Now I know what you’re thinking: How can you plan a spontaneous date? Well, some of these date ideas do take a little planning ahead, and it would be better for you to mention the date idea to your partner at one point before the actual date. These are the kinds of dates that you want to make sure that you and your partner will both enjoy, so it wouldn’t hurt to say “Hey, we should really go and do [fill in blank] someday!” beforehand. Then, go back to your busy lives and schedules for a few weeks, or for a few months even. Then one day, when you have absolutely nothing to do, say, “Hey, let’s go do that today!” And there’s your spontaneity for you. Amusement park – If you have an amusement park not too far from where you and your date live, then drive over there and hop onto a roller coaster! Amusement parks are great because they offer a variety of everything fit for a perfect date, from sweet, slow, romantic SkyRides to the heart-racing (and seemingly life-threatening) roller coasters. If you want, you can go on the Bumper Cars to bring out the competition and to try to impress your date with your driving skills (or in my case, let your date have a good laugh as your car spins around in circles). Or, you can ask your sweetheart to attempt the traditional win-me-a-big-stuffed-animal scenario. In whichever case, the adventures you and your date will take will get your hearts pumping as well as force out the lovey-dovey feels. How sweet! Only Prep: Purchase park tickets and know how to get there! Ice Skating Rink / Bowling Alley – Two classics that not a lot of people choose to visit anymore. The fact that these are usually an unpopular choice is what makes the idea spontaneous. People tend to overlook these choices and instead choose the mall or the movies for their typical date or hangout. But what’s great about these ideas is that one of you may be absolutely terrible at ice skating / bowling, so the other person has to teach the other how to ice skate / bowl. (You can even hold hands while you ice skate or stand alongside close to each other as you bowl). And if you’re both excellent at ice skating / bowling, then you can turn the date into a competition! Healthy competition (meaning not pushing down your date’s esteem) is always welcome in healthy relationships. Only Prep: Know your dates skill at the craft. Arcade – Does this sound like a boring idea? Well it isn’t! Show your moves at Dance Dance Revolution or engage yourselves in a racing or shooting game that will pump up your adrenaline, and again bring on the competition! 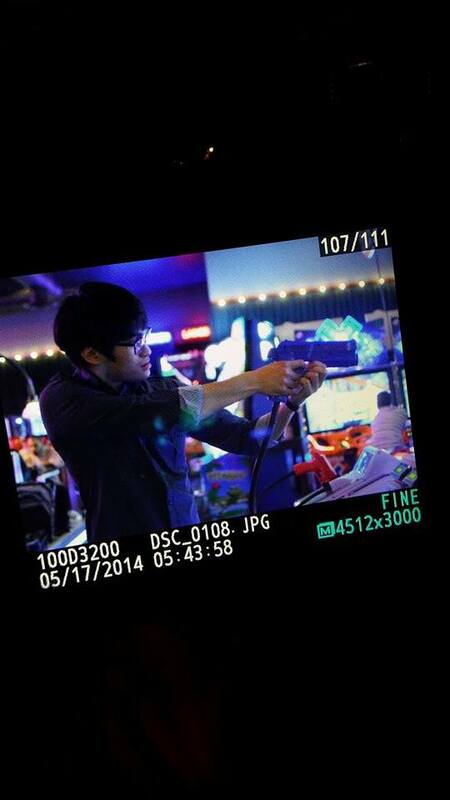 Today I went with my boyfriend to Dave & Buster’s, a super fun arcade for the young and the old. Our favorite game would have to be the 4-D scary zombie game, called “The Dark Escape.” It’s a little booth that has a curtain drawn around it, with air blowing in from the sides, and mind-blowing sound effects that will allow you to experience this thrilling game with all five of your senses. Obstacle Course – This is an idea that I have yet to do, and it’s on my bucket list! You and your date will be going on an ultimate adventure, and one or both of you may be screaming your souls out as you undergo it. However, this is just another fun activity that’s going to get your blood pumping and even perhaps alter your perspectives about life in general. For those of you in the NY area or who plan to visit it, the Palisades Climb in Palisades Mall is the “tallest indoor ropes course” that you simply have to try! It’s fun and safe for all ages, so this would be perfect for you and your date! Only Prep: Make sure your partner would want to follow through with doing this, as it can be a pretty scary climb! Hope you and your sweetheart go on a spontaneous date soon! Keep up the love! Next PostNext 4 Tricks to Keeping Your Lashes Curled All Day Long!